Apply 1-2 Vitamin C capsules daily and watch your face change. Why these superactive, pure Vitamin C skincare shots should slide into your beauty routine, ASAP. 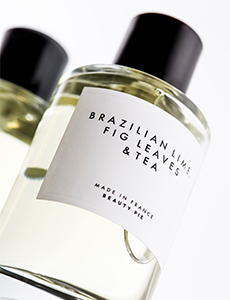 If you’re a beauty product ‘nerd’, you’ll already know that skincare’s most-exuberant, friendly, multi-tasking, charismatic cult leader (and that’s cult with a capital C) is a wonder ingredient that is praised industry-wide for being all-at-once antioxidant, collagen-assembly-stimulating, and pigmentation-mitigating. Topical Vitamin C. It’s like an energy food for your face. It’s the wonder skin vitamin that’s the new ‘normal’. It seems that everyone has suddenly awoken to the promise of glowing skin via Vitamin C. Last year, it was THE most-searched skincare term on the internet, not just by trend but because – in the right doses - its effect on skin can be nothing short of awesome. And now, you can buy Vitamin C serums, Vitamin C Moisturizers, mix-it-yourself Vitamin C powders. But the really good, pure, most effective Vitamin C skincare formulations are still very expensive if you want to dose yourself every day. And hey, who doesn’t? 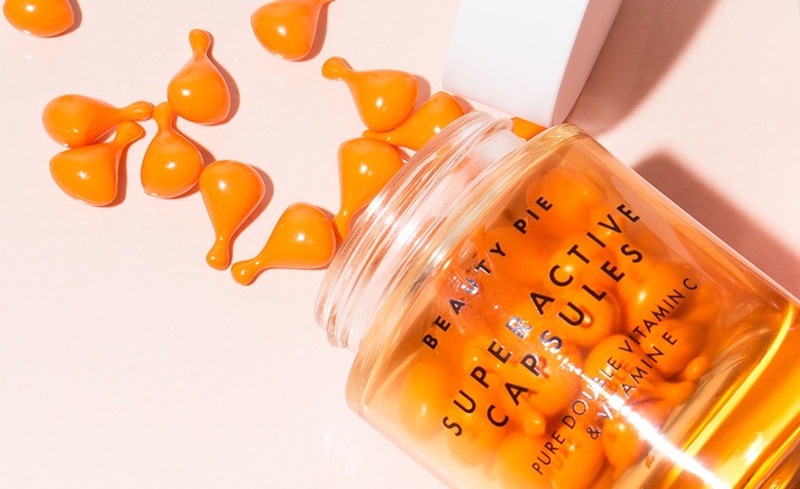 Last year BEAUTY PIE discovered the best micro-encapsulated Super Retinol (+ Vitamin C) Night Moisturizer (because Vitamin A plus vitamin C work beautifully together) and an exceptional Vitamin C Daily Defense Skincare Serum, both formulated at one of the leading labs in Switzerland. 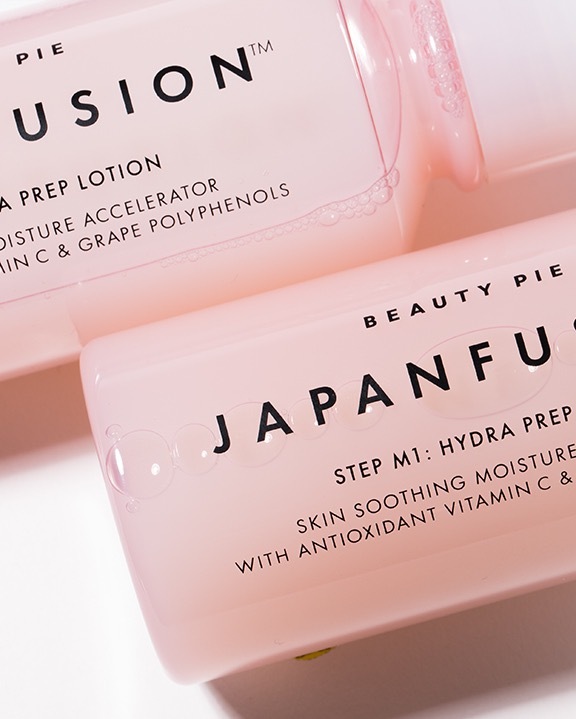 In February BEAUTY PIE launched - direct from an elite Japanese Skincare Lab - a full Japanfusion skincare system hailing Vitamin C from citrus fruit JABARA extract - combined with antioxidant resveratrol from grapes. And now, for those who want their Vitamin C PURE. 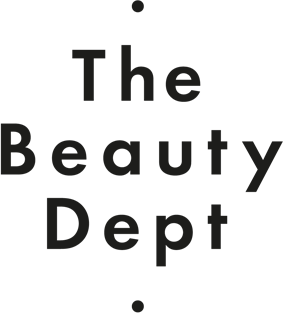 The world’s leading supplier of active ingredient skincare capsules is Italian, fabulous and high-tech. They produce an amazing Vitamin C capsule with Vitamin C (10%) + Vitamin C (.5%) slow-release microspheres + Vitamin E Acetate mix. The C (L-ascorbic acid) is stabilized in an anhydrous base, packed in twist-to-open biodegradable shells, to keep it safe from air, from sun, from water, or anything else that might make it even an inkling less effective. 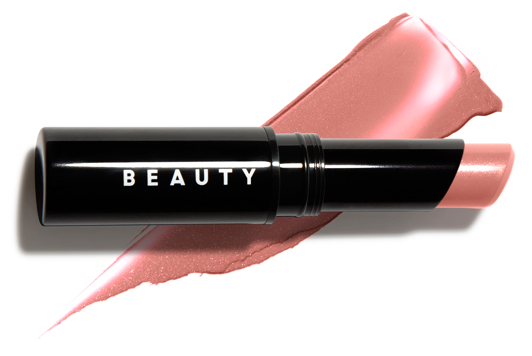 This is C that’s high-powered, portable, and pretty much perfect, and it’s available for the first time now at BEAUTY PIE. When to use Vitamin C in your skincare routine. It doesn’t matter when you apply it, because it always works. This Italian formula has a mattifying, blurring, primer-like texture, so works on top of all of your water-based products but we use ours as a serum, under our moisturizer. Using it in the morning? Twist open a capsule and add a shot under your treatment serums, moisture lotions and sunscreens, before foundation and makeup. In the evening, just add a Vitamin C dose into your favourite moisturizer, or layer it on underneath, for the best anti-aging, brightening, firming boost around. Our Pure Double Vitamin C + Vitamin E SuperActive Capsules. Limited quantities available. 60 capsules/jar. Use once or twice daily. 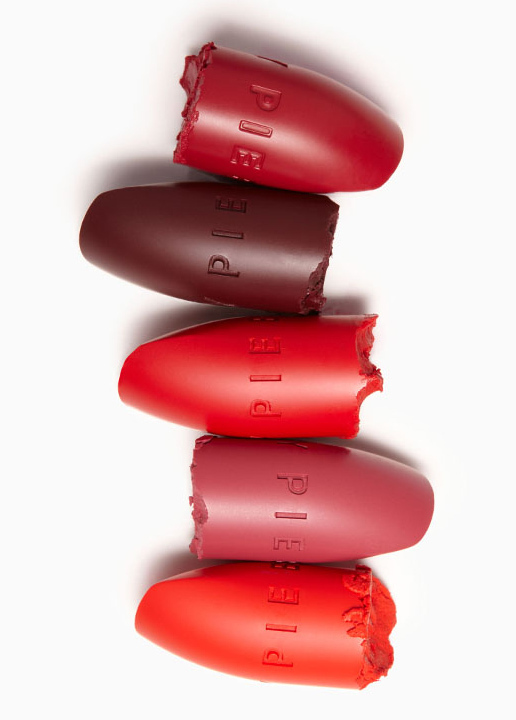 At BEAUTY PIE, our mission is to make you feel like a kid in a cosmetics candy store. To bring you the fairy tale. 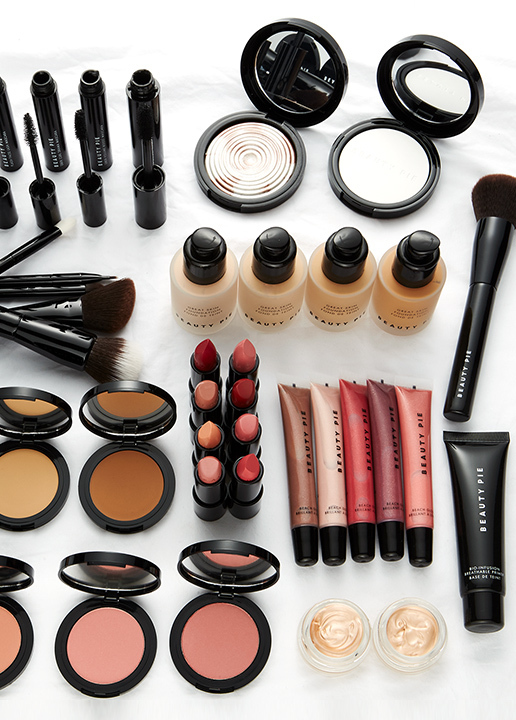 To deliver the absolute best in beauty nonstop, at prices so amazing, even a splurge is a steal. 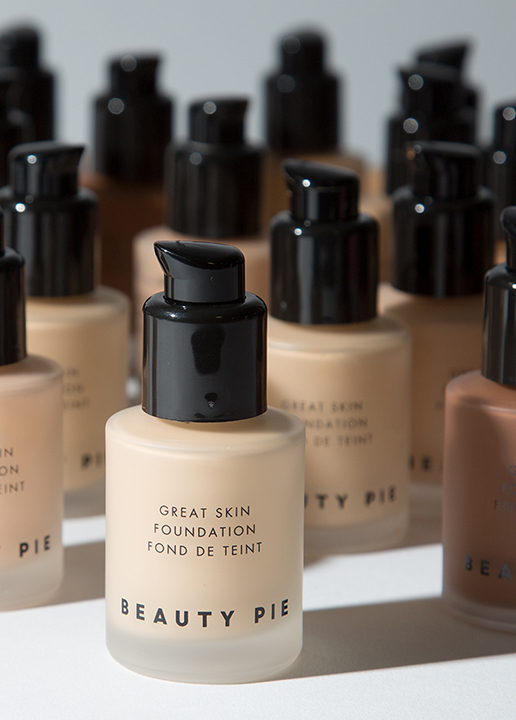 Because there should be no guilt in getting gorgeous.